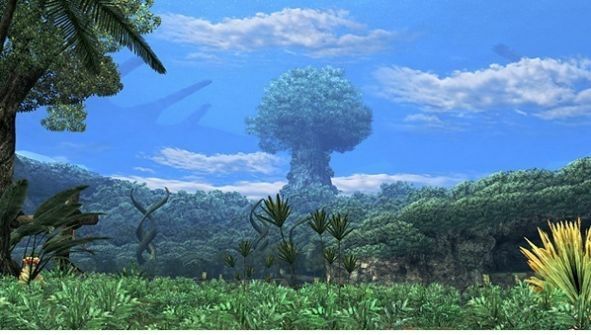 Battle Royale: Xenoblade Chronicles vs. The Last Story. Battle for best Wii RPG! Today I'm reviving the Battle Royale feature to prove which Operation Rainfall Wii RPG is truly top dog! Both are amazing so no matter what, both games are winners in their own right. Without further delay here is the latest Battle Royale! 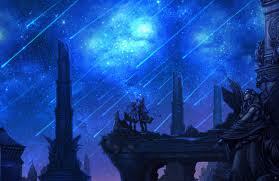 Xenoblade Chronicles has an amazing story with many plot-twists and surprises along the way! 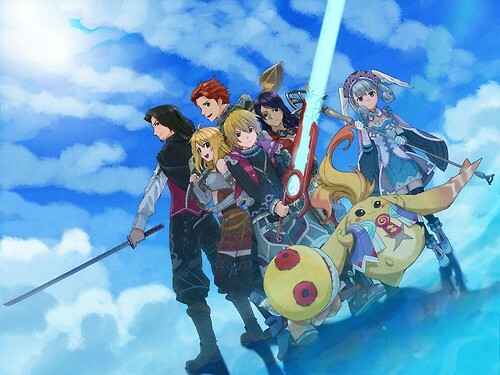 The story follows the adventures of a scientist name Shulk and his friends as they embark on a quest to destroy evil machines known as Mechon who destroyed Colony 9 using the legendary blade known as the Monado, but this quickly turns into a quest to save the entire world! The story is one of the best seen in recent RPG's! The Last Story follows the story of Zael and Calista and their story of forbidden love and Zael's mission to become a knight, however not all is as it seems as many twists in the story will have you on the edge of your seat! While not as epic as Xenoblade's story the story will make you feel like you know the characters and can be touching at times! Xenoblade Chronicles has a varied cast with some great characters, however some characters such as Riki are quite annoying. The other main characters are really good and have interesting back-stories. The villains of the game are terrifying and are voiced over quite nicely! 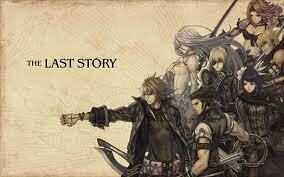 The Last Story has a dynamic cast with many unique personalities and the story itself is very much character driven and you'll feel like you're part of the gang as you learn more and more about each character. 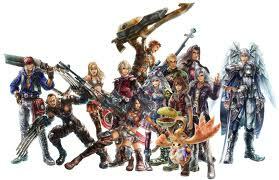 There aren't many games that have such a diverse cast, but this game beats Xenoblade in this Category! Xenoblade Chronicles has a very fun real-time/turn-based hybrid battle system that is very similar to Final Fantasy XII's, but a little more simplistic, however there is alot of strategy required to best the tougher monsters and let's not forget about the visions that occur during battle which actually allows you to change the future of the battle by issuing commands to your party members! There are also some tricky puzzles to solve at certain locations to advance further, which adds to the challenge of the gameplay! 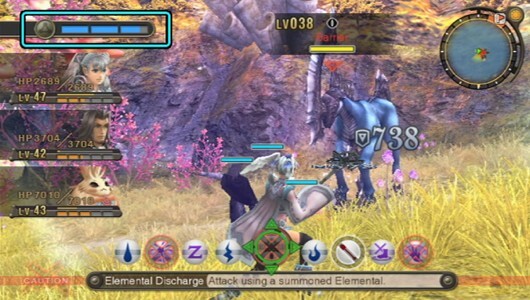 All-in-all the gameplay is excellent in Xenoblade Chronicles! The Last Story requires alot of strategy during battles as you'll lead your party into strategic battles and sometimes sneak attacks or other strategies will be the only way to win! During battle you can order members to take out bridges, focus on certain enemies, or use certain skills to survive each battle! This game has the feel of a strategy RPG, while maintaining key traditional RPG elements and if that wasn't enough strategy-based gameplay the real-time battles will add a level of urgency rarely seen in strategy RPG's! 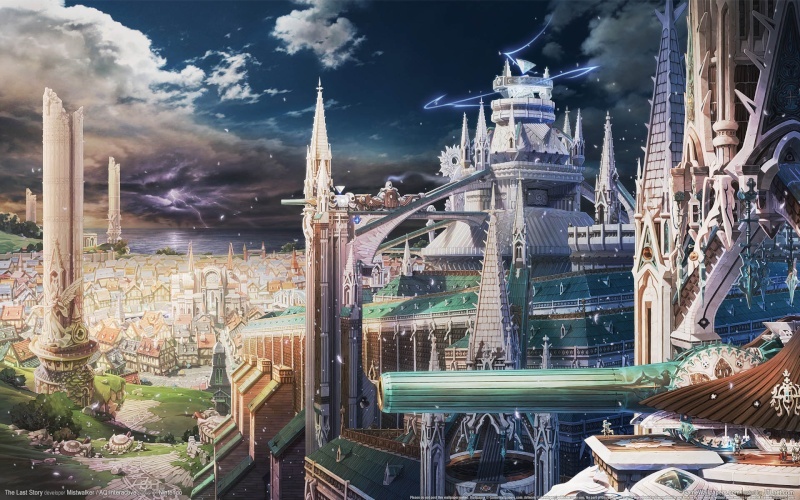 Xenoblade has some of the best character models of any Wii game and has a beautifully detailed massive world that is vibrant and full of life! The cutscenes are perfectly executed with cinema quality camera panning and zooming! The soundtrack is also one of the most amazing aspects of the game and it quite literally blew me away! The voice acting is also superb in Xenoblade Chronicles! The Last Story has great graphics and some gorgeous animations, but is hampered by slowdown during cut-scenes and the character models are a little less detailed than I was expecting, but all-in-all the graphics are quite impressive nonetheless. The voice acting is alright, nothing too spectacular, but not bad, however the narrator is a little boring at times and feels like he doesn't fit into the story. The soundtrack on the other hand is very good. With two wins, one loss, and one tie the winner of this Battle Royale feature is Xenoblade Chronicles! Re: Battle Royale: Xenoblade Chronicles vs. The Last Story. is this feature finished? Cause it looks done to me. Next up... The Last Story vs. Pandora's Tower! this was a great feature. I find Xenoblade a little complicated to play. 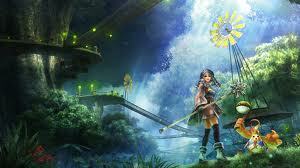 But with the Last Story, i'm glade to have Hironobu Sakaguchi direct a game once again. 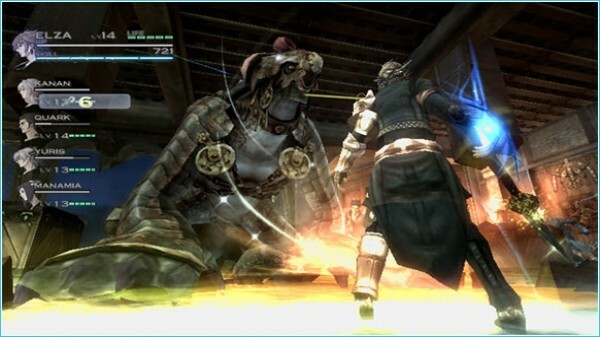 He also worked on Xbox 360 exclusive Blue Dragon and Lost Odyssey very amazing titles. A reminder though, Sakaguchi is the father of the Final Fantasy Series, but Square-Enix (I call them ! @#$-Enix) has been very unproductive with the franchise so far. I feel the same as DirectorIR, but the article was enjoyable!